Here's a theory: they will launch the 992 with a marketing push claiming it's faster than 'x' (maybe the current GT3??). Maybe they're pulling out all stops to make that happen a month and a bit before launch. I wasn't doubting that it had a full cage. It's just that a full cage is not the only way to run harnesses. I wouldn't want to try to go fast on the Nordschleife without a cage, helmet and Hans. But, that doesn't mean that you have to have any of them. I agree: It will be very cool to see the published times for the 992. No doubt it will be many seconds faster than the 991; this is SOP for Porsche. Porsche set both their GT3 RS and GT2 (lap record) times with just half-cages. I have actually never seen them run a full cage on a consumer 911 on the ring, certainly not during a manufacturers pool-day. That, and the fact they are going to these lengths on a non-GT car is just odd. 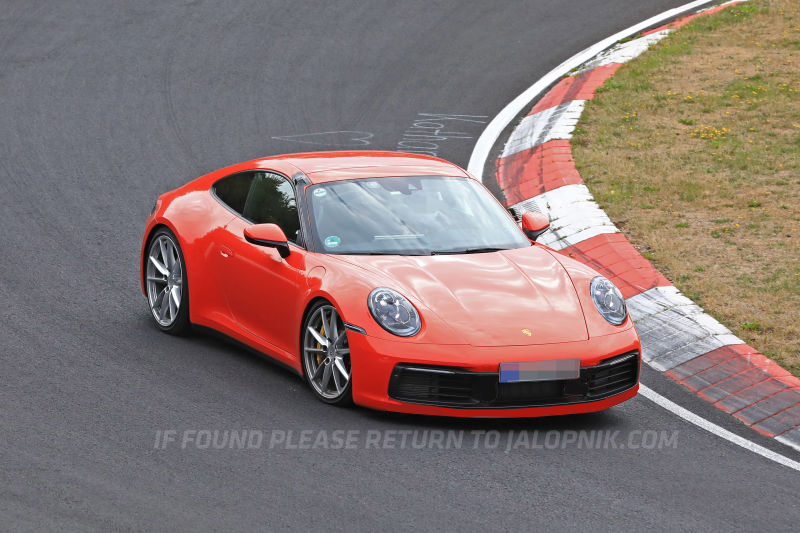 Here's what the 992.2 spoiler could potentially look like when it deploys. Because they forgot to put 'the hood' down. But, it does give us an idea what a duck-tailed 992 will look like. No, the ducktail doesn't wrap around and cut off the rear quarter upper edge line that runs to the rear or the car. This spoiler is just epic-ly bad. Look at that side view, look at the hard end of the C pillar, it just stops. Tell me that doesn't just look like an open rear trunk. Honestly, we can debate all day about purity, size, etc., but that spoiler is beyond debate. It's just plain awful and it takes a real emperors-new-clothes approach to argue differently. Many of those older Japanese imports rocked back then. Yeah, there were a lot of good ones; shame those companies went the way of driving boredom. Though if you've got new 911 money, you could always build a hayabusa swapped EF Civic just to hoon around in. 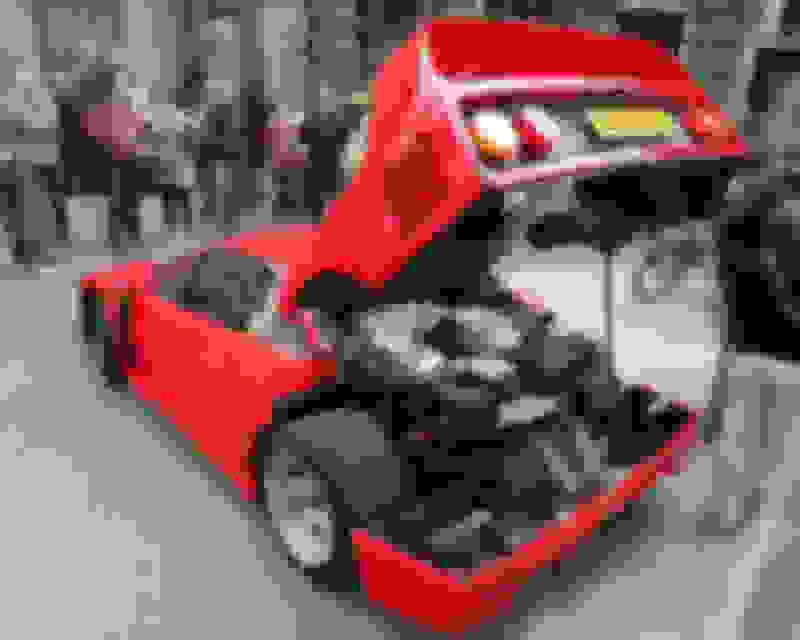 Last edited by simplex; 09-10-2018 at 07:08 AM. You know that's a great point. Many of these companies have changed for the worse as far as "drivers cars". BMW even gets roasted on here constantly for killing their sports cars. Why is it that everyone thinks Porsche can never do anything wrong?? They really the smartest car company that's ever existed? Just asking the question ... ?? Folks may give me heat for this comment. But the Toyota FRS/ Subaru BRZ is one of the best drivers cars out there. Sure power is lacking but the handles of that car is amazing, especially in the TS form. Add a 5k Edelbrock supercharger comes with warranty and you’ve got 2700 lbs and 300whp. There is a very good reason why the engine is easy to access in a Ferrari. I've never even seen the engine in my 981. I assume there's one in there someplace. It's fine where it is. As for the spoiler, no modern Porsche looks good with its spoiler extended, and this one is no better or worse than any of the other post-997 models IMO. That's why they sold a lot of duck tails on the .1 cars. Check out a 718 sometime if you want to hear people yelling, "Hey mac, you left your trunk open" all day. Seriously I could assemble 10 smart Rennlisters here, and we could design the whole damn car with better results than the PAG designers. I agree, that spoiler looks bad, deployed or not. The vertical seam looks bad on the side of the car when it's down, and it does look like an open trunk when it's deployed. I know the spoiler looks a bit awful, however I feel it is very necessary - I do a lot of track work with my current GTS and when above 240kmh it can feel light/vague through undulations - thus any additional downforce is most welcome. I am sure Porsche will allow this spoiler...and when the 992.2 comes out...it will be fixed. Hence people will sell their 992.1 and buy the 992.2. Look what happened to the 996...the headlights...yes...fixed for 997 (and I am assuming it sold way more than the 996).